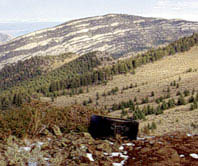 Getting a range cow to leave the comforts of a riparian area for the grassy mountainside has been a challenge for western cattle producers for decades. Research continues to show the effectiveness of CRYSTALYX® as an easy-to-use, effective grazing management tool. High-tech equipment, along with old fashioned horse power, helped Montana researchers track when cows are at CRYSTALYX® barrels and what path they travel to reach the supplement. 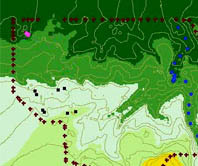 To obtain the information, researchers incorporated GPS technology into electronic monitoring collars. 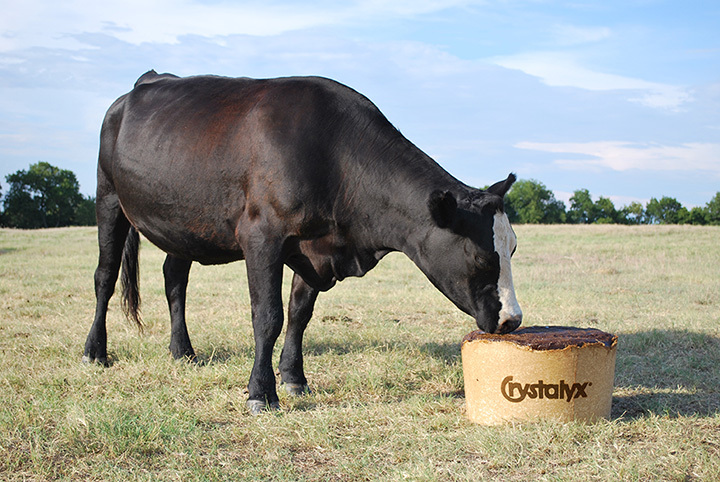 The CRYSTALYX® BioBarrel® is designed to degrade as livestock consume the CRYSTALYX® low-moisture block. It's effective, simple and can make everyday hassles and frustrations disappear. Your frequently asked questions about the BioBarrel® answered. 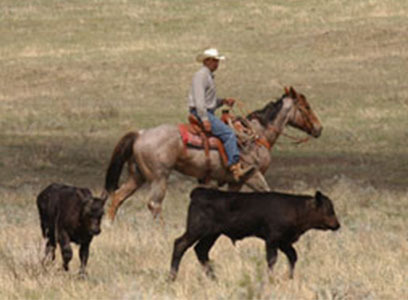 CRYSTALYX® can help ranchers, forest service personnel and even elk and deer populations benefit from balanced utilization of public allotments. 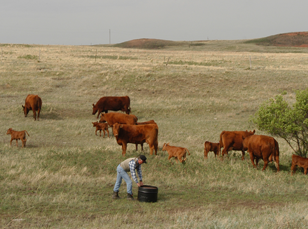 Spreading the utilization of range land forage across the landscape usually prevents the heavy use associated with concentrated grazing. When producers successfully even out distribution, the resulting light or moderate forage use allows plants to grow more vigorously, maintaining or even increasing cover. 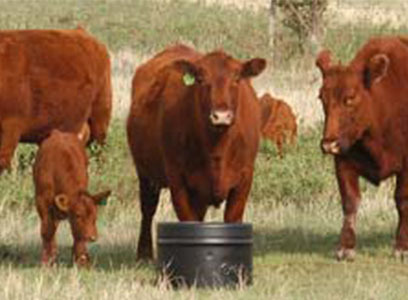 Studies conducted at the University of Florida and Kansas State University provide data which indicate increased bioavailability of phosphorus, and proof that molasses blocks such as CRYSTALYX® enhance digestibility and intake of lower quality forages. 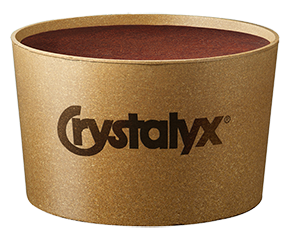 CRYSTALYX® leads the industry with over 25 years of extensive product research. It’s easy to watch the BioBarrel as it disappears during consumption.